Logistics companies are saying that imports of fashion goods and electronics from Asia by the Trans-Siberian Railroad are on the rise as the route has become more alluring. One reason is the eastward expansion of the country's major retail chains over the past few years, an executive for Finnish company Itella Logistics said. The Finnish state-owned firm opened a delivery route to move goods from Vladivostok westward in June, its Russia director Vesa Vertanen said in an interview earlier this month. "Our customers approached us," Vertanen said. "It was a joint idea." The country's leading retail chains that operate out of Moscow, St. Petersburg and Yekaterinburg are expanding to Siberia and the Far East, creating more demand for stocking their eastern outlets, he said. "This market is not big, but it's still important," he said. 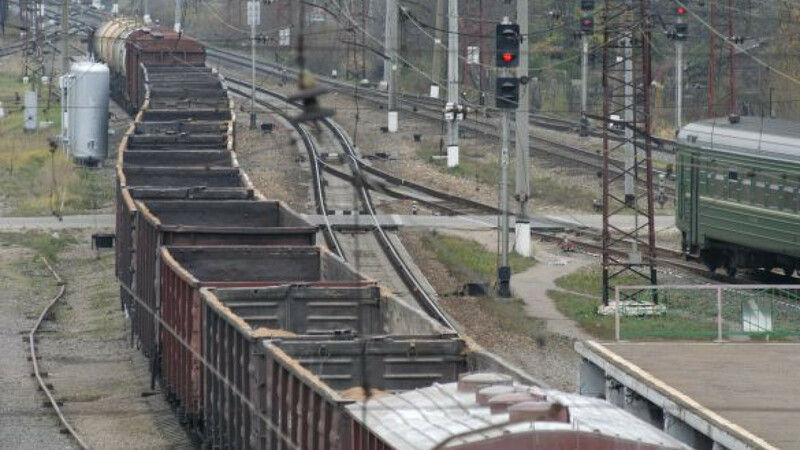 Some companies now choose the eastern ports and the Trans-Siberian Railroad for delivery to their stores in western Russia as well, said Vertanen and Natalya Shatunova, a director at STS Logistics. It takes goods made in China, Malaysia, Japan and Korea less time overall — about 28 days — to reach Moscow and the other major cities in the European part of the country, Shatunova said. The actual in-country rail travel in special container trains takes two weeks. Although this route is more expensive, retailers have increasingly shown interest in the option since roughly the end of last year, Shatunova said. Containers with Asian-made clothes and electronics now largely travel to Russia by sea for 45 days and arrive in St. Petersburg. Vertanen and Shatunova declined to name the customers that use the new route, nor did they specify the cost difference. One of the electronics vendors that expanded in the East is M.Video, which opened more than 14 outlets in Siberia in 2010 and 2011, including in Irkutsk and Novosibirsk. A spokeswoman for M.Video, which is an Itella client, said the electronics retailer imports its goods from the West, even if some of them travel all the way to Yakutia afterward. Another of Itella's clients, British fashion retailer Marks & Spencer, opened a store in Krasnoyarsk in February, adding to its two existing Siberian outlets.